Ask your family and friends for recommendations for locksmiths. This is the best option for finding someone that is trustworthy. As you will trust the recommendations of your loved ones over a random online stranger, if you find that one of their suggested locksmiths is reliable, go ahead and use them. Your next best option for finding a reliable locksmith is to search for one online. As you sort through your local results, review all the recent recommendations to see what past customers have said about each company. In your search, be sure to visit the website of every locksmith, particularly to see if they service the type of lock you have. For instance, if you have a Chubb lock, you’ll want to work with a Chubb locksmith for repairs or replacements. One of the main reasons people fall prey to locksmith scams is that they wait until they have an emergency to find a locksmith. While you can find a good locksmith during an emergency, it’s best to already have a locksmith in your contact list that you’ve vetted well before you need them. In an emergency situation, it isn’t easy to think clearly. Moreover, an untrustworthy locksmith may take advantage of this difficult time by overcharging you. When you do ask a locksmith to come to your apartment or home, be sure they are who they say they are. Carefully review their invoice, business card, and identification. This verification process should go both ways. Trustworthy locksmiths should always confirm the identity of a client and that the lock they are opening is actually the property of that client. While every locksmith company won’t have all three qualifications, it is a better idea to choose a company that has all or most of them rather than someone that has no type of professional qualifications. 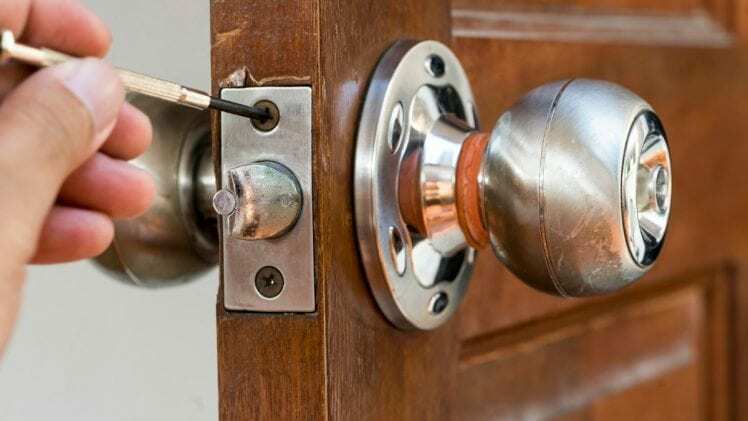 The fact is that while almost anyone can probably open your door with the right tools, if the locksmith has most of those qualifications, it means they are legitimate. The search for a locksmith isn’t always a simple one. Be sure to use this guide to help you find the most trustworthy locksmith for you.